Wanting an upgrade to the latest version of Android is understandable — after all, in theory it should be the one with the best features and the fastest performance. In practice though, that's not always the case, and there are several reasons why you might want to hold off on a Lollipop upgrade. Read on for our KitKat vs Lollipop comparison — and why Android 4.4 KitKat is still better. That's if you have the option of course: Your handset might not be getting Lollipop, or it might have been waiting for a very long time. 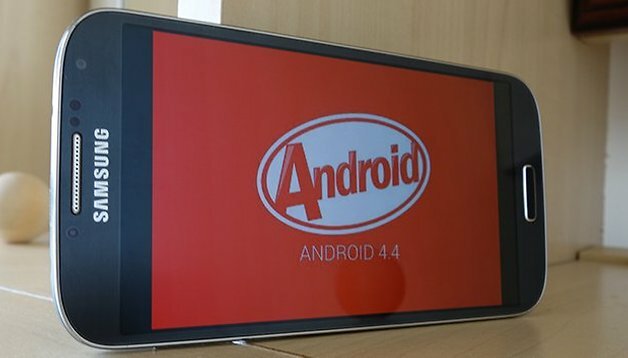 Whatever the situation, here are seven areas where we think Android 4.4 KitKat beats out Android 5.x Lollipop — let us know if you agree in the comments. Lollipop brings its Project Volta optimizations and promises of a better battery life for your device, but that doesn't necessarily work out in the real world: In the tests run by GSM Arena, the Nexus 5 and the LG G3 actually suffered from worse battery life after the upgrade. At the very least check the benchmarks for your handset before pushing the upgrade button. As you may know if you've searched through the feature lists, Android Lollipop brings notifications to the lock screen — that means anyone picking up your phone can see your alerts (though sensitive content can be hidden). If you want a more streamlined, less cluttered lock screen, then you're better off sticking with KitKat for the time being. Google has made some tweaks to the way multitasking works in Lollipop which may or may not be to your tastes. Each browser window and open document counts as an extra pane on the multitasking screen, so it gets more crowded more quickly, and the open apps stay open even after a reboot so you can't quickly clear everything out from the memory. One of the most baffling decisions made by Google in Lollipop was the removal of the silent mode shortcut — accessed by a long press on the Power button — that let you quickly mute your phone. You can of course mute a Lollipop handset but it's a much more complicated process and the old Power shortcut has been cut for no apparent reason. Beauty is in the eye of the beholder as far as OS design goes but not everyone is happy with Lollipop's revamped navigation buttons and the white apps drawer that you can't edit without installing an alternative launcher. The Material Design has been widely heralded as an improvement by most, but for some it looks a little garish and cartoonish. If you're a fan of lock screen widgets then you won't like the Lollipop upgrade — they're no longer supported. Why Google decided to give them the chop isn't clear, but maybe the new lock screen notifications have something to do with it. If there are certain lock screen widgets that you rely on, then you're better off sticking with Android KitKat for the time being. Of course Google has been quick to update its official apps for Android, and many of the big names have done the same, but smaller and older apps can throw up bugs and complications when running with the new-look Lollipop. If a handful of your favorite apps haven't been updated to be fully compatible with Android 5.x, you might want to hold fire on upgrading. Yes it's right. Android 4.4 KitKat is better than Android 5.x Lollipop. It depends on the flavour of the manufacturer, maybe they removed somehing you like or didint like, instead try buying a pure google nexus and you will see what is the pure difference when it comes to lollipop. I would be happy with lollipop if someone could tell me how to get rid of the garish ugly colours in messages and to put the phone keypad back the way it was. I detest the white background and kindergarten colour schemes. If you have an older phone..... well then guess what? Kit kat is an older os and is going to be more fluid. There is absolutely no reason to downgrade on a newer phone, and you would be killing your phone's performance. I much prefer lollipop on my galaxy s4 as well. The note 5 is amazing with lollipop. Most complaints I see about updates come from people who can't properly operate their technology, or are updating an older, lesser used brand of device. If you have a galaxy s4, and you prefer kitkat over lollipop because of lock screen notification (which is totally the user's fault for not just changing that in the settings,) then maybe you should consider switching to apple. Just bought a new Honda Civic and Android Auto does not run on KitKat. Only Lollipop. Android Lollipop vs KitKat Features Preview! At first I wondered what Google was thinking when they replaced the blue theme from Jelly Bean, but now I think the white theme and transparency makes KitKat even better than Jelly Bean and Lollipop. How does one do it manually? Both KitKat and Lollipop can be installed by extracting factory images and installing the files in bootloader/fastboot mode. If you have a Nexus device Download Wugfresh Nexus toolkit. It will set up the interface and you can select ANY factory image and it will download and install it for you, it's very user friendly and even will set up the ADB drivers for you. I have been to lollipop to kitkat to marshmallow and back to kitkat useing the toolkit so many times. Kitkat is still the best. There are a few core apps I use that lollipop and marshmallow just don't play well with. Upgraded my s4 from at&t to lollipop and thus far not a fan, no longer have the facial recognition option for the lockscreen, Not a huge fan of the open apps list being accesaable from the home button instead of settings button nor the new tiered view as it looks like cascading windows and it seems like their is just less customization options via settings overall. I have galaxy s4 with kitkat 4.4.2 and currently being offered a lollipop (yes mother did warn me about this). As someone who does not give a flying feck about eye candy, only functionality and simplicity (which is near impossible to find anyway), I'm inclined to decline the offer. Any good reasons to reconsider? When is Google genuinely going to support Indian languages natively in the OS? India cannot be represented only by the Arab origin language Hindi alone, Indian languages seriously need to be supported. WE NEED INDIAN LANGUAGES, not just the Indian tax payer looted Indianized Arab origin language Hindi alone. Google supposed to have announced native support for major Indian languages Bengali, Kannada, Malayalam, Marathi, Tamil and Telugu per the press releases, but even close to 1 year after Lollipop phones in the market, we dont see UI in Indian languages, it is only limited to the Arab origin language Hindi alone. It appears that the Google's main policy is duplicate the racist Indian government's language policy of Arab language Hindi imposition and denial of Indian languages. Only Manufacturers like Samsung are providing some type of Indian language support, Google is stagnating. Google customer support in India also is only restricted to the Arab origin language Hindi and not supporting Indian languages. It looks like Cyanogen OS is at least giving more fair treatment for Indian languages. Google is not appearing to go anywhere for last 3-4 years as far Android Indian language support. Android's hype is really getting tiring as far as Indian languages is concerned. Cyanogen probably is ray of hope. I take your point, but hindi is in fact indo-european not semitic. Descended from sanskrit which was a contemporary relative of greek and latin. I have a moto x 2014, and i liked kitkat a lot. It was suited for the phone. I updated directly to 5.1, very smooth and fast but i have a slight preference for kitkat. I dislike completely the new notification system.... !